I think we officially can declare that spring finally has arrived! My Guzzi California 1400 is too ready for a new season, as spring finally has arrived. At least here in the south-eastern parts of Norway. A nice sunny weekend brought bikers out from their hibernation, ending the PMS (Parked Motorcycle Syndrome) that has ridden them through a long, dark winter. I looked over my Guzzi California 1400, which now is ready for a new season.My Yamaha WR250R is currently at a workshop where they’ll put in new, stiffer springs, but it’ll be ready by next weekend. My wife’s Guzzi Breva 750 is due for service this week, and then I think we’re ready to take on the 2015 season. Of course, planning the new season has been going on since long. 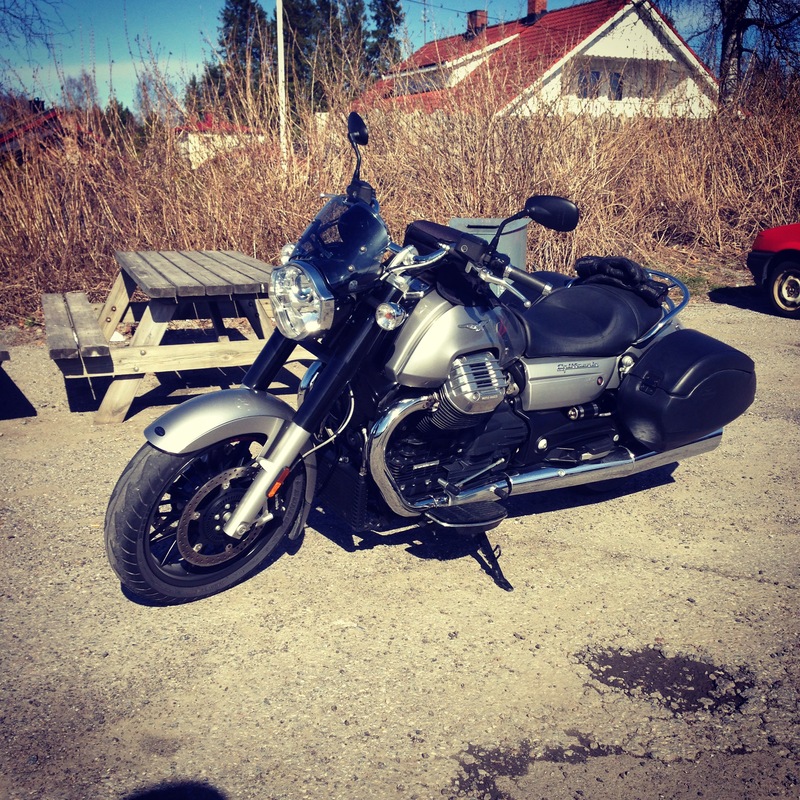 Here are a few happenings on my list: In April, we’re heading towards Evje in the southern parts of Norway, to meet up with biker friends at the Evje Rally. May will see us at the Moto Guzzi Spring Rally, whereas we in June will have a bunch of Finns over for a ride through an extended weekend. In July we’ll do a gravel road trip all the way up towards the Nordkapp – maybe the single trip I’m looking most forward to. The latter part of the season has not been planned yet, but I suspect it’ll be mostly gravel riding for my part. You’ll read all about it on this blog. Yep, it’ll be a great season!